American candy isn't something I've really had the chance of trying. I believe it's becoming more available here, but with a pretty big price tag attached. 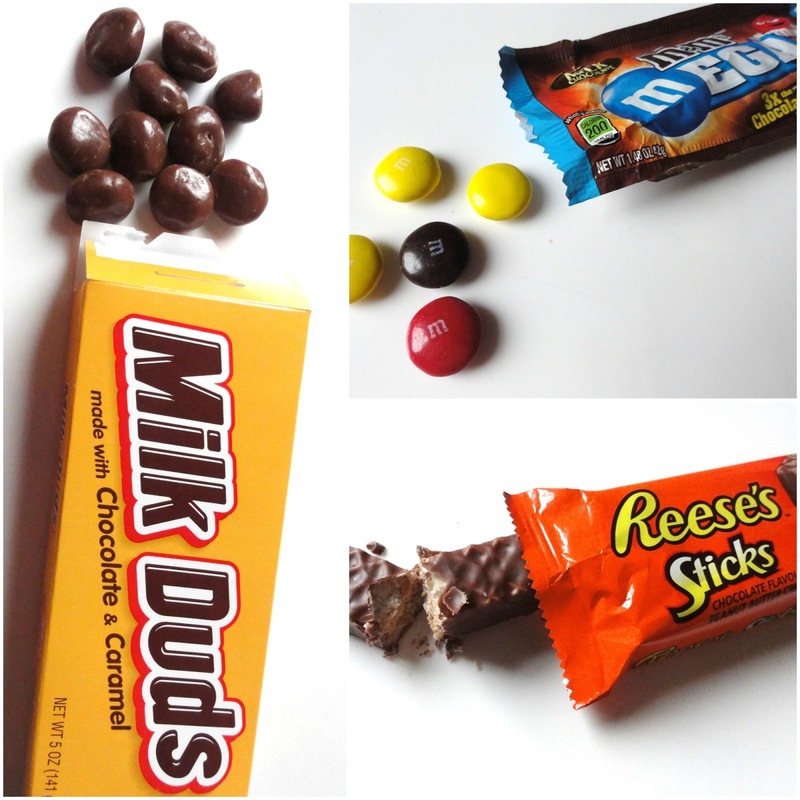 One selection of sweets that's easy to purchase and very affordable are the Reese's range. 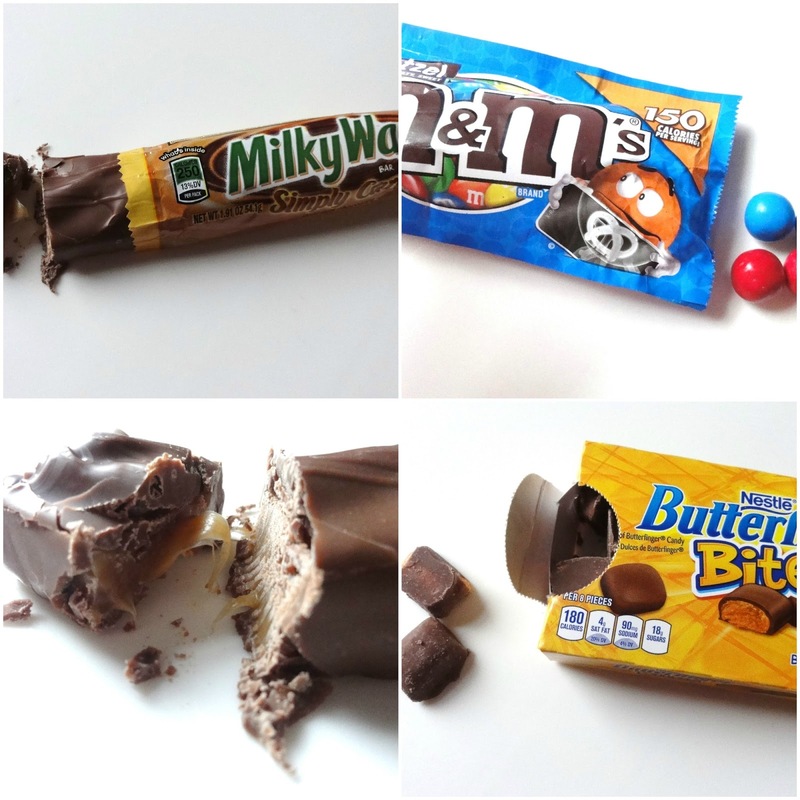 Whoever thought of putting chocolate with peanut butter deserves a huge award. 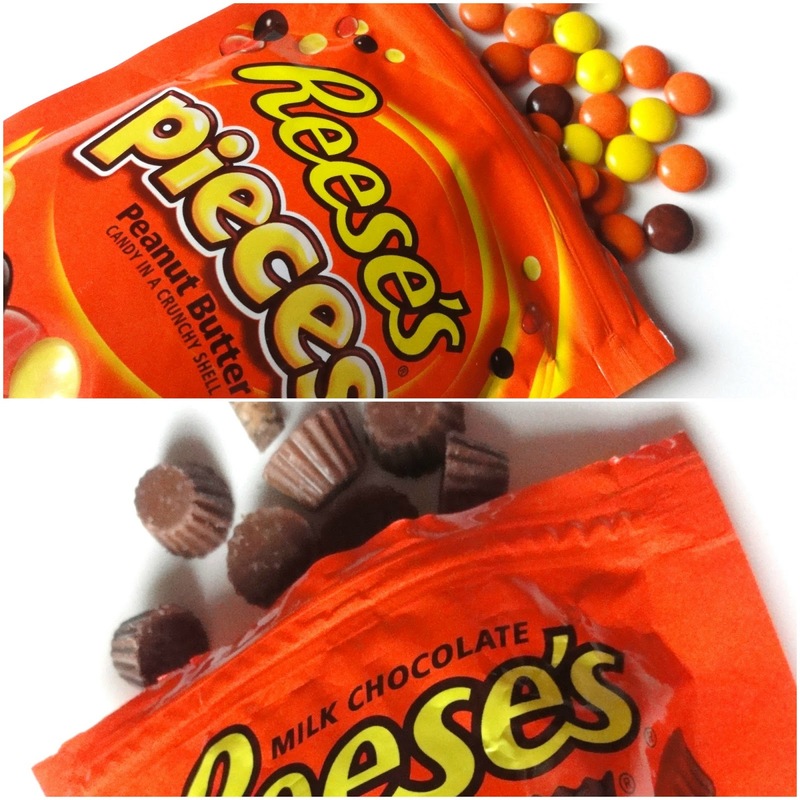 When I made the journey across the pond recently I made sure I stocked up on both Reese's peanut butter cups and Reese's pieces - so good. Then recently I went into B&N Homestore to purchase some paint and couldn't help but notice a huge section dedicated to American chocolate and sweets. They were really affordable, and I may of gone a little mad because of that. Us British seem to very particular about our chocolate and I know a lot of people haven't rated the American chocolate highly, so I thought I'd share with you my thoughts. I got this duo from the Hershey's shop in Times Square, NY. I've been buying Reece's Pieces and peanut butter cups in Tesco for quite some time now, sadly the big 'family' bags (not that I'll be sharing them) aren't widely available (or at least I thought until I saw the mini peanut butter cups in Asda). No American chocolate will ever beat the taste of these and something, if you haven't already tried them, that I highly recommend. Milk Duds - These remind me of those Poppets I use to purchase when I was a kid. They taste practically the same, less chewy, and the chocolate was a little on the cheap side. M&M's Mega - These tasted pretty much the same has M&M's but on a bigger scale. The chocolate tasted a little bitter and rich in comparison to the UK version.. Maybe because there's more of it?! Reece's Sticks - Can Reece's do any wrong? These are so good. They taste exactly like the peanut butter cups but with an added crunch.. the wafer. Milky Way - Oh my goodness I'm in a Milky Way heaven - the American kind. This is very much different to the UK Milky Way and possibly even better. Imagine Mars Bar without Nougat. M&M Pretzel - They could taste worse but they certainly aren't something I'll be purchasing more of. A sweet and savory that just doesn't work! Butterfinger Bites - Not sure how to describe these... It was like eating a Crunchie with a twist, maybe a buttery one - I hate butter. Our Crunchie is way better. I also tried Reece's peanut butter cup spread and I did like it, however, I prefer Nutella. I find it just doesn't taste like a peanut butter cup. It tastes good in my homemade Reece's milkshake though. American food is becoming more and more available in the UK, I remember going to an American food shop in Chester with my friend and a box of Lucky Charms was £17 and the little tub was about £6ish. Now you can get the tubs in Poundland. I haven't tried any of their chocolates, I'd probably love Reeses Pieces except it's not supposed to be suitable for veggies, choc and peanut butter is right up my street.